Founded on a vision of giving back to the community, Desa Seni is a boutique wellness resort with antique-filled Javanese wooden houses providing atmospheric accommodation that is rich in old world charm but with plenty of modern comforts. Organic vegetable gardens provide much of the produce served in the restaurant and the whole resort is built around the principles of sustainability – social and environmental. 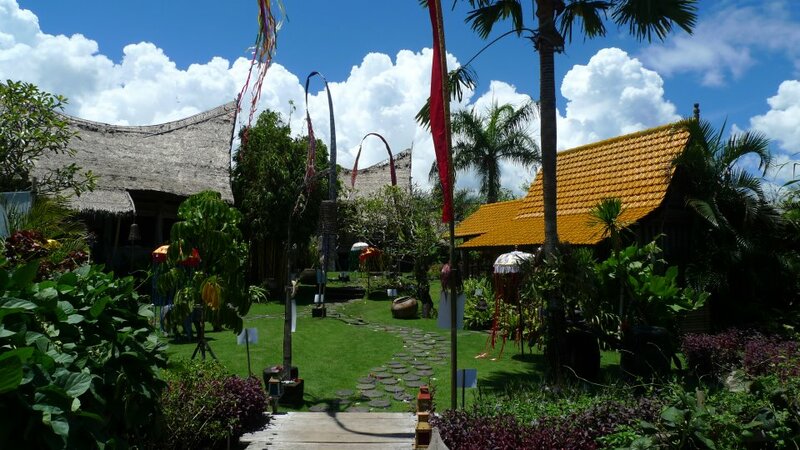 Desa Seni’s third annual Yogathon takes over the resort on March 17 2013, promising to be the biggest, most spiritual, enchanting and exhilarating event to date. Kick starting the Bali Spirit Festival, this year’s Yogathon will feature an eclectic line up of yoga, music, art, movement, meditation, dance and fashion, led by Bali’s top yogis and performers alongside international festival presenters. As well as an eclectic range of yoga and dance classes, this year’s event will feature more music, entertainment and art workshops than ever before, including lots of fun activities for kids. As well as being a fabulous community experience celebrating the union of mind, body and spirit, the Yogathon raises money for a very worthy cause, with all proceeds go to Ayu Kita Bicara HIV/AIDS, a program that promotes awareness and prevention of HIV in Bali. It is estimated that the number of people on the island infected with HIV has tripled over the past five years, with Indonesia facing the fastest growing AIDS epidemic in Asia. Ayu Kita Bicara aims to stem the spread of the disease by targeting Bali’s youth through a series of ‘edu spirit’ workshops. The last two Yogathon events have raised over US$ 24,000, proving that when we come together as a community we can achieve amazing things!